It’s Christmas Eve and 9-year old Billy, down in California, wants to order a PlayStation Pro for Christmas to enjoy with his cousin who is traveling from New York for the holidays! Billy reminds his Mom to order the console using her Smartphone App and request it to be delivered before the night of the Christmas. Billy’s Mom gets busy in the kitchen prepping gingerbread cookies and forgets to order the item! It’s already getting late and Billy’s getting apprehensive and then suddenly he remembers that he can order it using their living room IoT device. Billy walks over to the IoT device and tells it to order the PlayStation Pro so it can be delivered by the midnight. Not thinking much about it, Billy walks away thinking that the app will take care of the item for him and anticipated to see it under the tree when he unwraps his presents in the morning. Down at North Pole, there’s a pop-up on their Gift Leaderboard stating the description of the gift that was placed. Santa and his team of Manufacturing Elves collaborate to assess the request and run the analytics to see if the item is available in the inventory. Elves and Robotics collaborate to get the order put together. The order pops on the screen, the Elf leading the Order Inventory Department accepts the request, and sends the information to the Robotics Department to take care of the request. The robot then hops on his little delivery cart and drives over to the game aisle. The robots and Elves coordinate to ensure that while driving through the warehouse, the robot does not hit any of the racks for which the Manufacturing Department has set up the alert sensors on every rack that prevent any damage and maintain a cost-effective environment. The item then drops off the rack and drops in the cart after robot dials in the product code and he places it in his cart. Then, the robot drives back and delivers the item back to the Elves. The Elves then scan the item and match it to the request originally sent by the IoT Device. 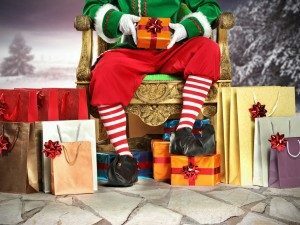 The Elves then wrap up the present and load it up on Santa’s Sleigh. 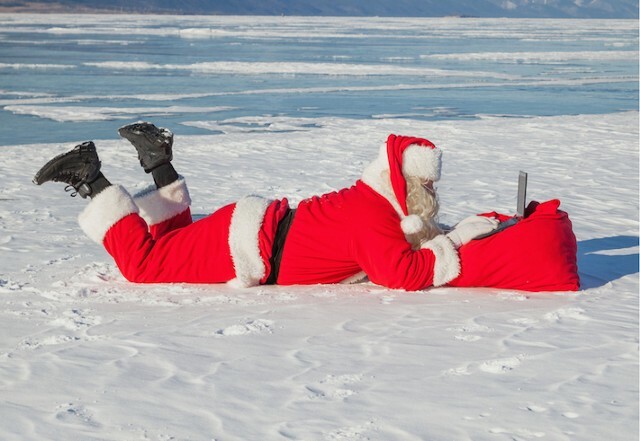 The Santa has decided this year to take advantage of the Cloud Services to gather data from all the kids ordering the presents, tracks where the data is coming from, and then filters it from the server to understand and use it for location services. His variable data is then utilized to track all the kid’s locations. Santa and his team further break down the data and categorize it between the kids who have been good or bad this year. Now based on this data, Santa prioritizes where to make his first stop. Fortunately, Billy’s on Santa’s good list and Santa decides to make his stop a priority. Santa hops on his sleigh and tells its sleigh’s navigation system to drive towards Billy’s house. Since the weather is brutally cold and Santa is an elderly man, he puts on his health patch under his Sherpa Gown. He connects his health patch with his app. This patch picks up health information based on the Sweat Analysis and automatically updates Santa Claus of his vitals and electrolytes. This health patch lets Santa know if his electrolytes are taking a dip or since allows him to be cautious about his heart rate as well if in case Santa’s heart rate goes high due to all the adrenaline rush because of all the enthusiasm he has to deliver all the gift in excitement. Santa sets his patch on and continues his journey. Finally, just before midnight, Santa gets to Billy’s place and parks his sleigh. He then climbs into the chimney and realizes there is heat building up inside the chimney! Santa immediately jumps out and calls his team of Elves in the Engineering Team and asks them to connect him into the Home App and so he can turn off the Electric Fire Place. With his IoT App, he turns off the fire, slides down the chimney, and places the PlayStation Pro by the Christmas Tree just in time and leaves a note stating, “Merry Christmas, Billy!” Then, Santa climbs out of the chimney, turns the electric fire place back on, and rides away. 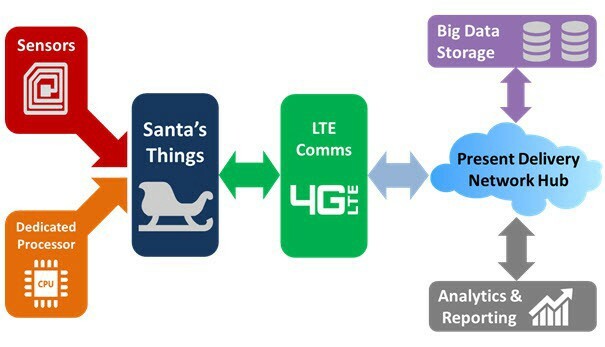 Santa and Elves now know the power of technology in making a better world through a mesh of digital experiences, connected devices, edge compute, cloud solutions, data analytics and machine learning and expresses his gratitude to Clovity for building top IoT Solutions that have made his journey successful and helped him get Billy and many such kids their present on time for Christmas!